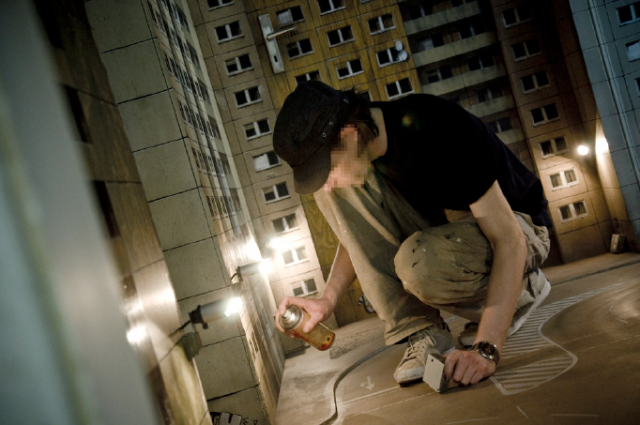 Graffiti artists producing illegal out-door art often breathlessly bang on about bringing „the street“ into official art institutions. 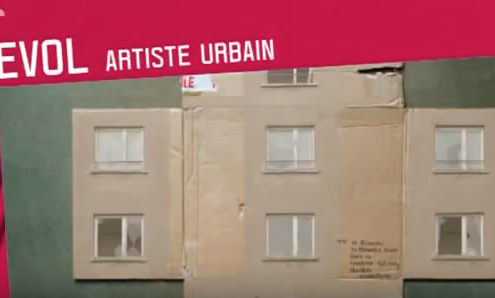 But „the streets“ they mean to evoke are quite different from the calm, understated and ordinary city blocks which Evol brilliantly renders for his first solo show at the Wilde Galerie . 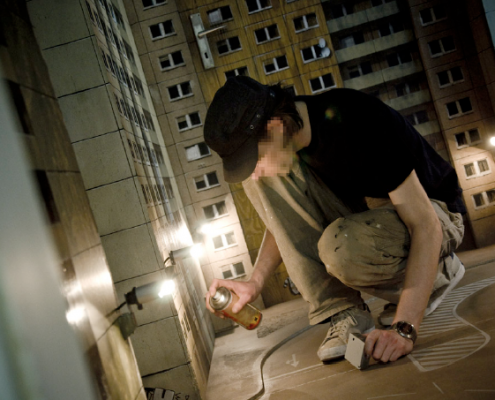 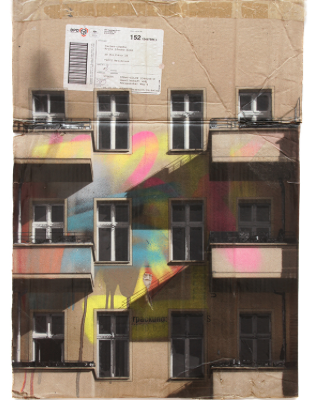 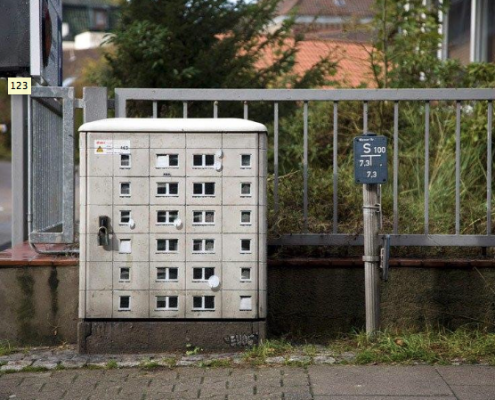 Rather than recreate street scenes busting with human activity and renegade energy or provocatively desolate dystopian cityscapes, the artist who grew up in a German suburb and now lives in Berlin spray paints quiet scenes of bland prefab buildings on cardboard. 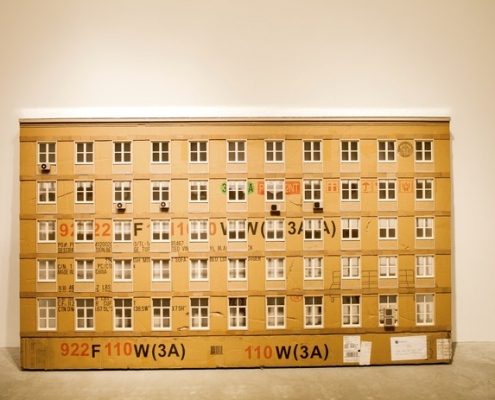 The ten recent paintings which he produced on discarded packing material, and the one walk-in-sized installation, are all primarily grey, black, white and tan. 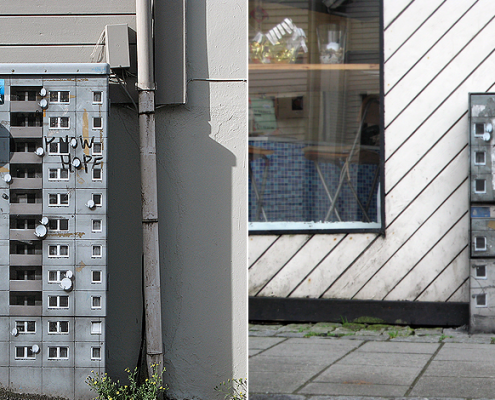 The tan colour comes from the cardboard itself, which he uses as a base—allowing the scars and marks from where tape was torn to feature as weathering on the tired buildings he represents.